Varsity player Colby McLean in Sullivan put his 1,000th point on the scoreboard in front of a packed auditorium filled with his family, friends, and members of the community. 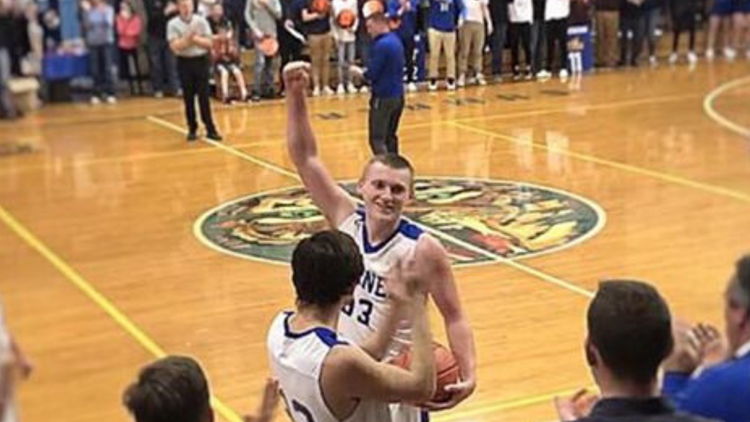 SULLIVAN, Maine — The Sumner Tigers were on a high Thursday night after their win over Central High, but for one senior, Colby McLean, it was a night he will never forget. Colby McLean makes his 1000th point in his High School basketball career for the Sumner Tigers in Sullivan, Maine on Feb. 7, 2019. Colby put his 1,000th point on the scoreboard in front of a packed auditorium filled with his family, friends, and members of the community. "It was pretty crazy and pretty overwhelming. Pretty cool and something I will remember forever," Colby told NEWS CENTER Maine. Colby says he never set the goal to rack up 1,000 points, but at the start of his senior year, he realized it might be possible. Kyle Joy coached Colby during his freshman and sophomore years, and although he now lives in Kansas City, he flew to Maine to watch Colby reach his milestone. 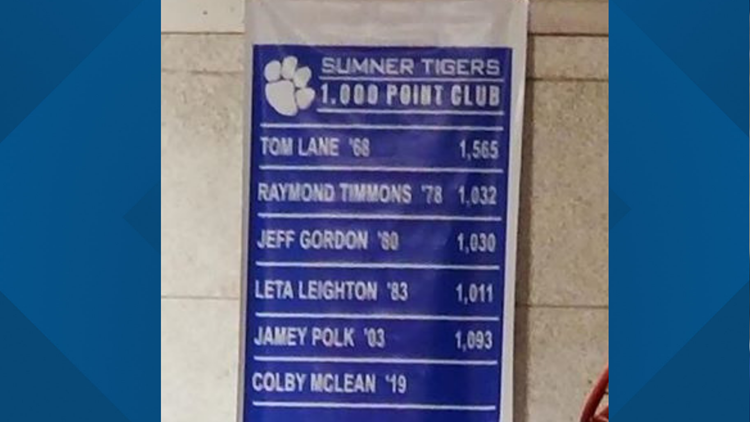 Senior Colby McLean joins a handful of other basketball players at Sumner High in Sullivan to score more than 1000 points in their High School careers. "Colby is a top-notch student. He is just nice to everyone. He is a great teammate, never been a ball hog and never cared if he scored that many points, but it just came to him naturally," said Joy. Colby is the first student at Sumner High to score 1,000 points in the last 16 years.